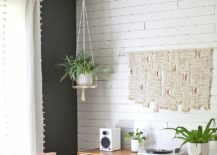 The quest for uncovering more floor space goes on this fall as we feature a series of decorating ideas, wall-mounted décor and DIY ideas that give your home a more spacious vibe. 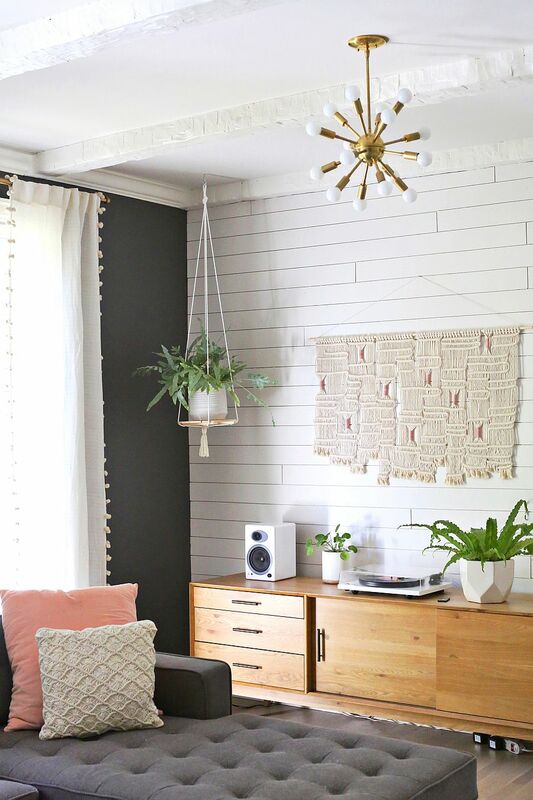 As always, one of the best ways to do this is by thinking vertical and bringing in furniture that relies on walls for support. 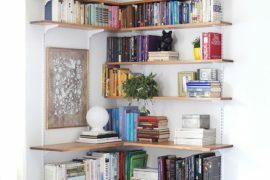 Hanging shelves surely fit this billing as they replace your more demanding shelving systems with breezy delights that take up absolutely no floor room at all! 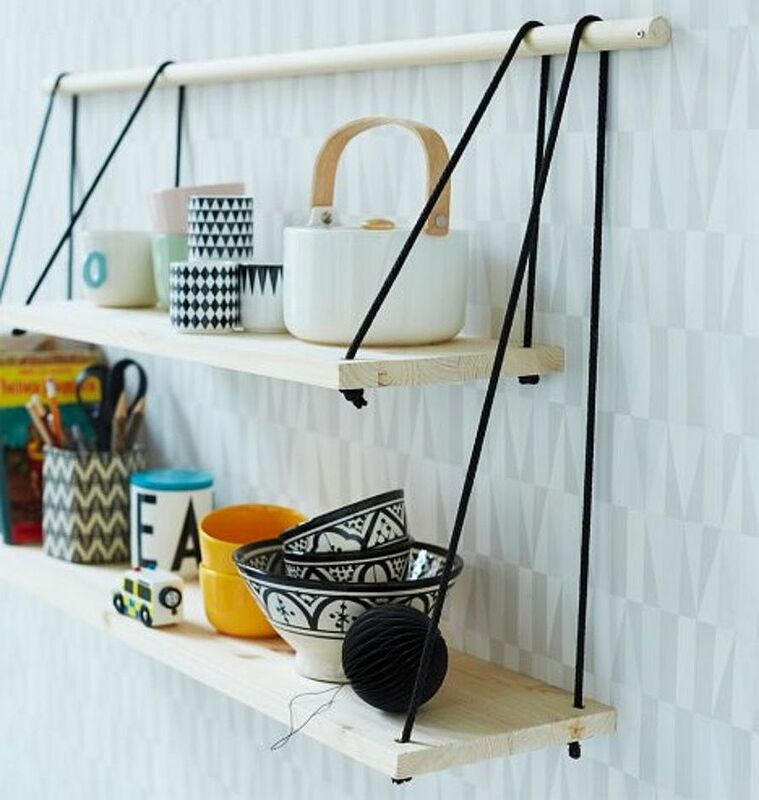 Things only get better when you craft these space-savvy shelves at home, allowing you to also save some dough. 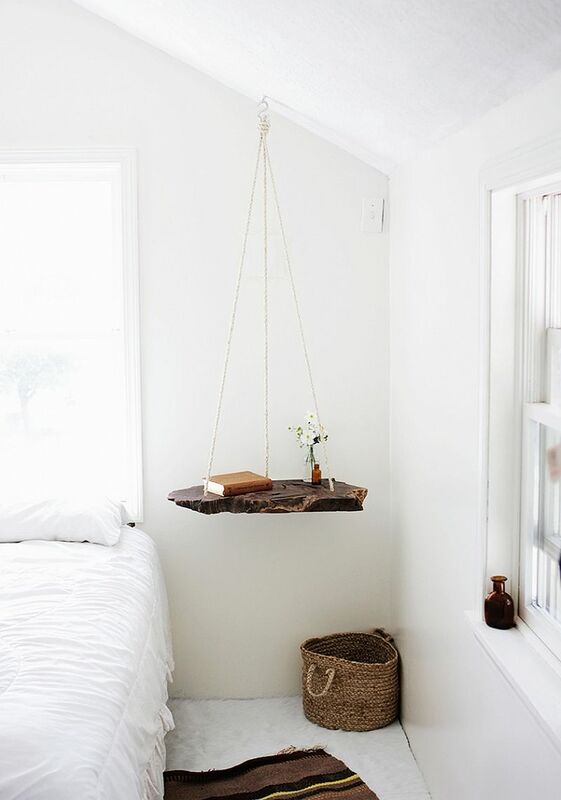 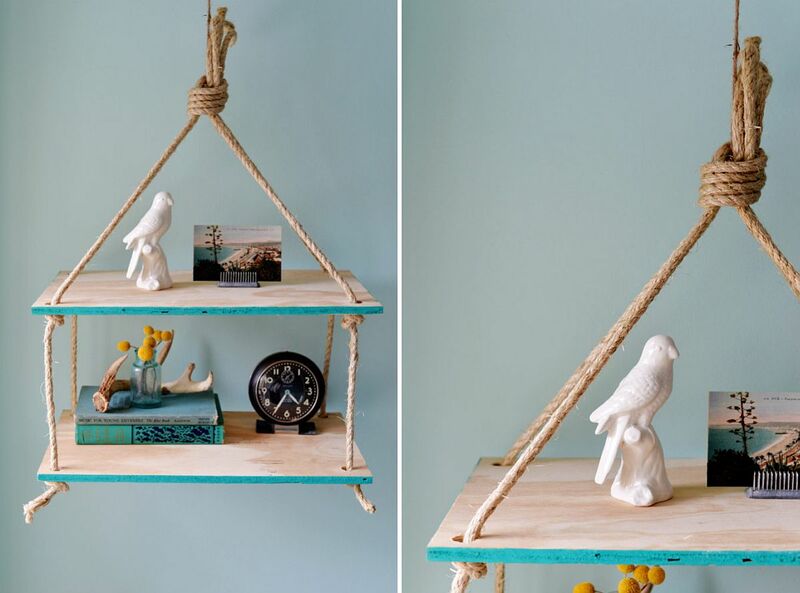 When it comes to DIY hanging shelves, it is rope and wood that come up trumps. 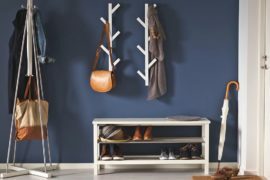 Most of these elegant shelving units are super-simple to craft and a trip to the local hardware store should get you everything you need. 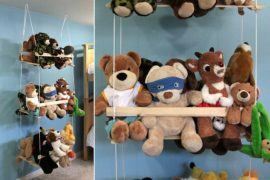 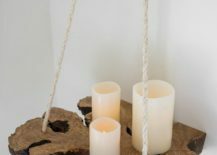 The DIY hanging rope shelf in its most simple form takes very little time to create and with a coat of paint, you can ensure that it blends in with the color palette of your living room or bedroom. 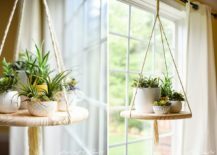 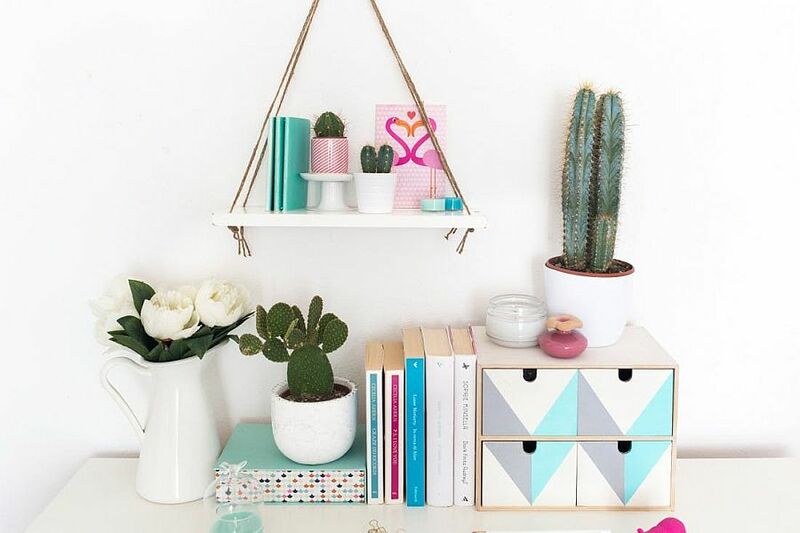 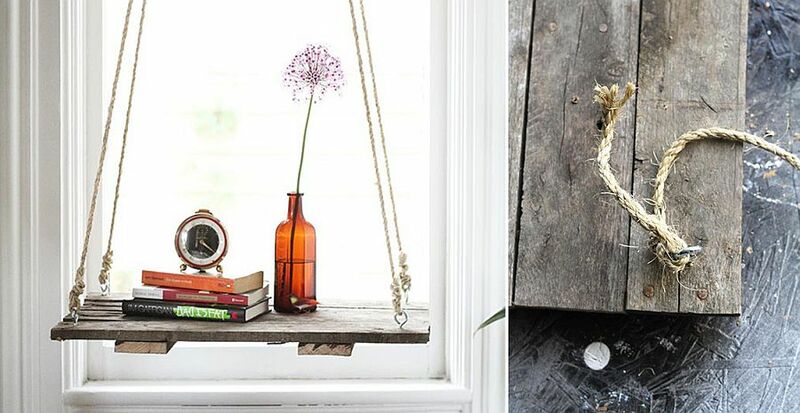 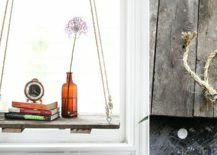 The small, round DIY hanging shelf is even simpler to make and can also be used as a plant stand. 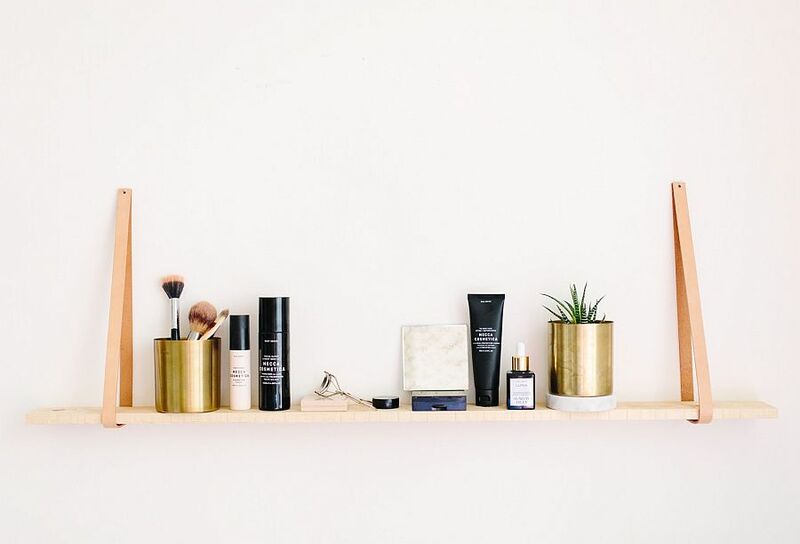 Be it Scandinavian simplicity or unassuming modernity, these shelves have it all! 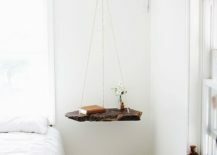 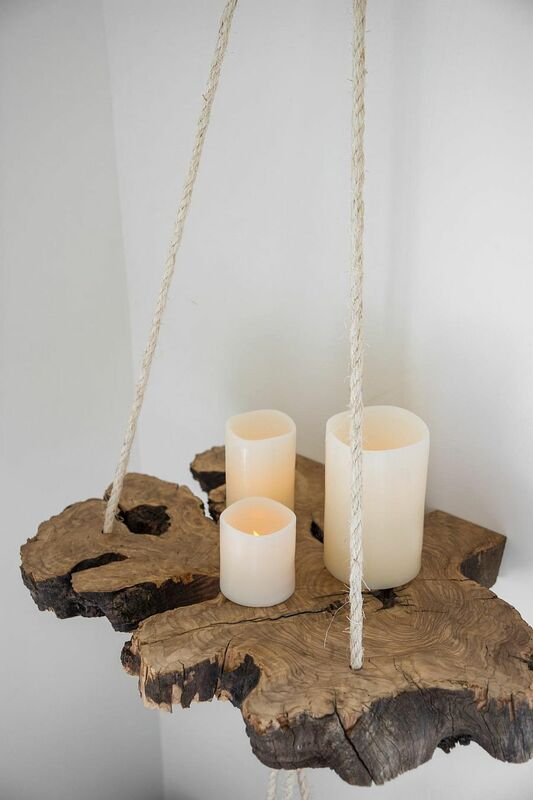 The live-edge hanging shelf is a showstopper in every sense of the way. 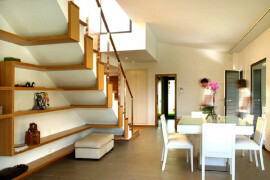 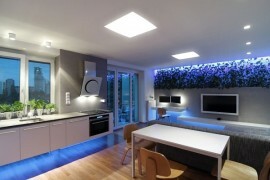 It is distinctive, is a move away from the more sterile nature of contemporary homes and is pretty easy to craft. 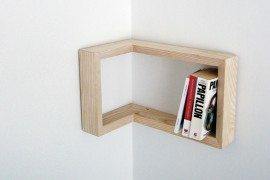 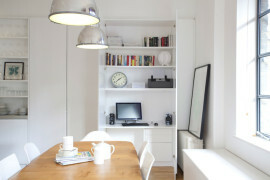 You can even use one of these as a cool bedside table or a console table in the tiny entryway of the urban apartment. 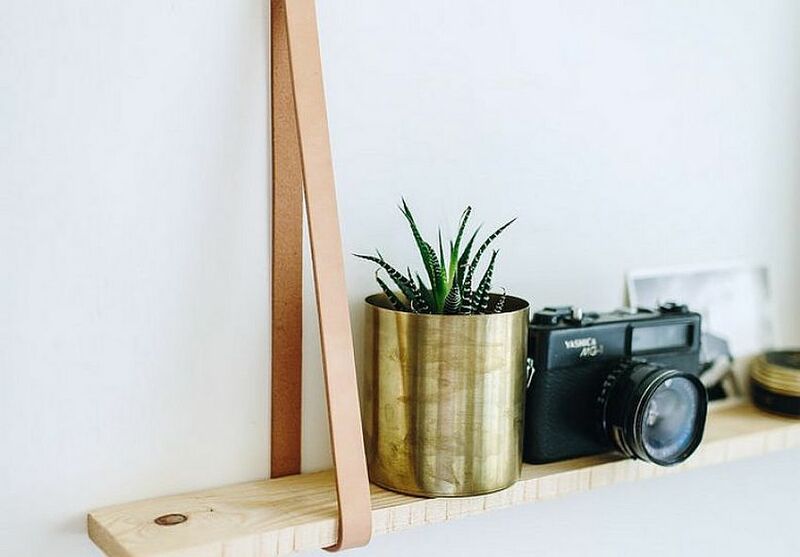 Of course, those who prefer a more traditional and rustic, floating shelf can use reclaimed or distressed wood along with rope for their space-saving DIY furniture piece. 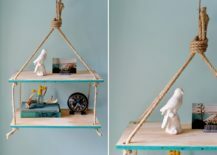 Ever thought about replacing those boring and seemingly nautical ropes with something much cooler and unique? 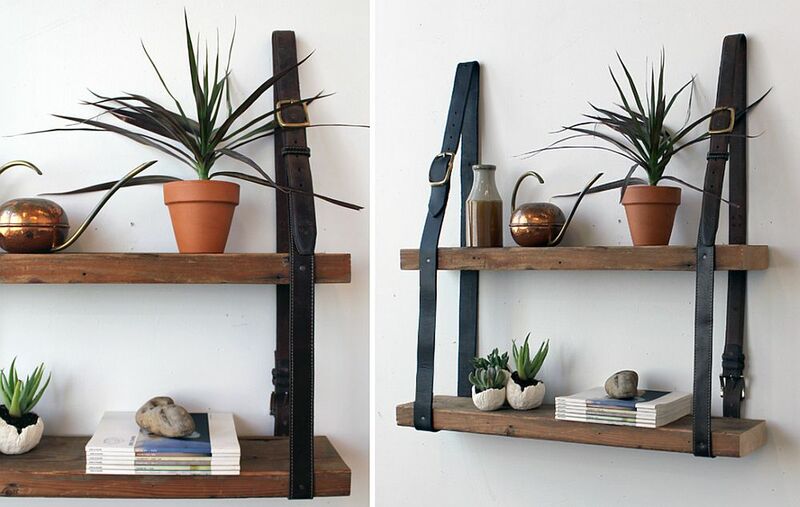 Leather straps allow you to create a fabulous hanging shelf that is both exceptional and eye-catching. 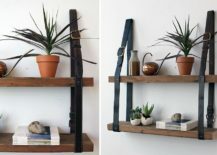 Just like in the case of those shelves made using rope and wood, the process here remains the same, but you just use recycled leather to hang those shelves from the wall or even the ceiling. 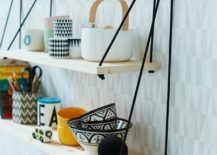 In a year when textural contrast holds sway, this is indeed a trendy way to upgrade any room of your home – be it the bedroom or even the aging kitchen!